Perk has a few different apps from which you can earn points. I'm currently using the Perk tv and scratch and win app. 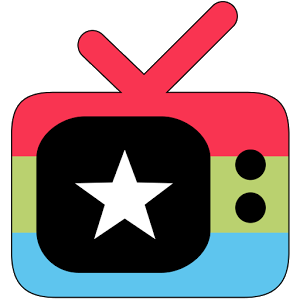 The perk tv app allows you to earn points by watching popular videos and also movie and app trailers. You can gain sweepstakes tokens or win more points by playing the scratch and win app. Other Perk apps from which you can earn money, include Perk Pop Quiz, Perk Screen, Perk Shopping, Perk TV Live, and Perk Search and win. Fyi : Perk is currently only available to members in the United States, UK, Canada, Australia, India and New Zealand. You may also visit the Perk website and earn by completing offers. Most of the rewards are gift cards which include Amazon, Gamestop, American Airlines, etc. Okay I don't feel like listing every single gift card but, there are a lot. They also have also have t shirts, a camera, some tablets. Points may also be spent on certain sweepstakes entries. Right now they are having a $10,000 give away. Yes, they have Paypal too. You must have a verified account. I prefer to get Amazon gifts however. . The points are really low. It can be anywhere from 1 to2 points per video. This is no problem for a work at home person like myself. If you have the time, the points add up really quick. I've just redeemed a gift and have already earned enough points for another one. *Important * Some members are stating that we are allowed three devices per account, Others are saying it is five. I have been up and down the entire TOS and the Help section and have found nothing to confirm any of this. Maybe I'm missing it. Please read the TOS and Help sections on your own so that you are familiar with the rules.